The bracelet can be found searching worldwide for “eyeball/evil/5/blue eye bracelet, there are also brown eyes available by searching for “eyeball coffee earring”. A set of 4 pairs of eyes in different colours is available too by searching for 5mm eyes. 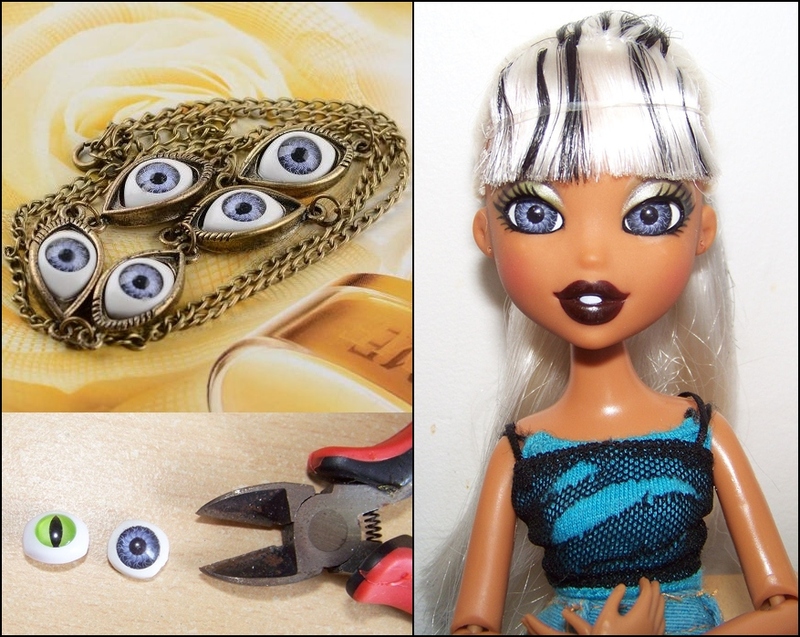 This entry was posted in Tutorials and tagged bratzillaz, eyes on May 24, 2013 by saffy.